In the ongoing conversation around the role of pharmacy benefit managers (PBMs) in the supply chain, a new report further illuminates incentives that tie PBM revenue to higher list prices for medicines. The move by some PBMs to share discounts they receive with patients at the pharmacy counter is a step in the right direction, but it’s important to ensure PBMs aren’t just replacing revenue from retained rebates with hidden fees to protect their bottom line. As the Department of Health and Human Services Office of the Inspector General observed in a recently proposed rule, the current system has resulted in misaligned incentives that can lead PBMs to favor medicines with high list prices and large rebates. But there is another aspect of how middlemen do business that deserves scrutiny: fees. According to Pew Charitable Trust, PBMs nearly quadrupled the fees they charge biopharmaceutical companies – such as administrative and service fees – between 2014 and 2016. Total fees charged to biopharmaceutical companies by these middlemen increased from $1.5B in 2014 to $2.6B in 2015, and then doubled to nearly $5.6B in 2016. Along with rebates, these fees – which are typically based on the list price of a medicine – contribute to a system of misaligned incentives where middlemen make more money when the list price of medicines increase. 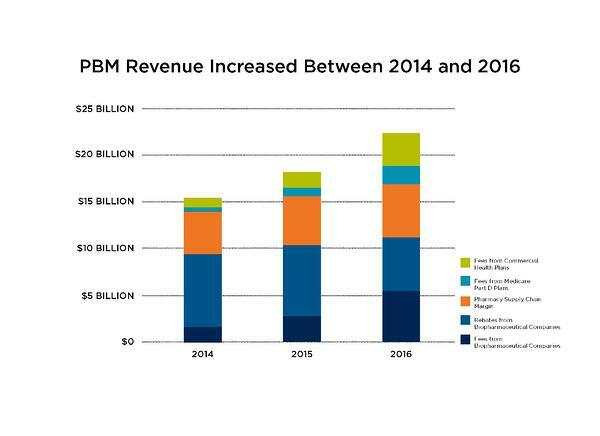 Despite an increase in the share of negotiated rebates shared with health plan and employer clients, total PBM revenue increased between 2014 and 2016. That’s in part due to the increasing administrative fees they charged biopharmaceutical companies. But PBMs aren’t just charging biopharmaceutical companies more than ever before – they also brought in a record total of $22.4B in revenue in 2016 by charging more to others in the supply chain, like health plans and pharmacies. These findings come amid questions about why payers do not share the discounts they receive from manufacturers directly with patients. To learn more about how we can fix misaligned incentives to improve patient affordability, visit LetsTalkAboutCost.org. 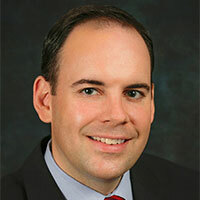 Robert Zirkelbach Robert Zirkelbach is Executive Vice President of Public Affairs at PhRMA. He joined PhRMA in 2014 after working for seven years representing the health insurance industry. He likes Saturday afternoon BBQs on his deck, traveling, trying new restaurants, and attempting to play golf. He’s an avid, somewhat obsessive, Iowa Hawkeye fan and is lucky to have a wife that loves watching college football on Saturday afternoons.